Today I'm rocking the brights. 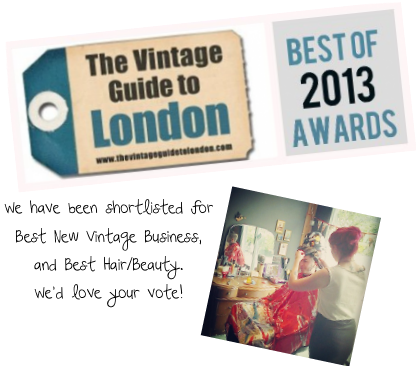 This morning Rockalily Cuts was shortlisted for Best New Vintage Business and Best Vintage Hair/Beauty 2013, and I'd love you to take 10 seconds to vote for us! You don't have to register, so it doesn't take long at all!